There are many reasons to smile. Research shows it can improve your mood, alleviate stress, strengthen your immune system, lower your blood pressure, and make those around you happier. You can spread joy every time you smile, but if you don’t like how your teeth look, you may hide it. You won’t get the benefits if you’re not smiling. At Dental Expressions, we offer cosmetic dentistry to help you love your smile. Before you know it, you’ll be showing it every chance you get. Cosmetics dentists, Drs. Robert and Heather Heil use cosmetic imaging to show you what your new smile will look before you get started. Together, we’ll discuss the results you want and design a plan to achieve it. You might need just one treatment or several because we want you to be happy with your smile! We offer several types of cosmetic dentistry services at our Freedom dental office near Kaukauna. If several aesthetic concerns make you feel insecure, you can correct them all using one treatment. 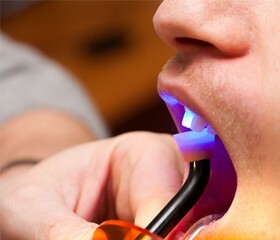 Attaching thin shells to the front surfaces of your teeth instantly improves their color, size, shape, and proportion. 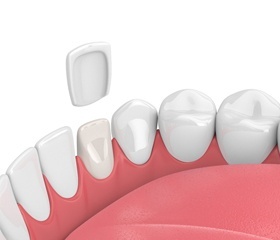 Porcelain is the preferred material because it closely mimics the appearance of your enamel for natural-looking results. Not to mention, it allows the veneers to be thinner, so the treatment is minimally invasive because less of your tooth’s structure is removed during the bonding process. In as little as 2 appointments, you can have the smile of your dreams with results that last an average of 10 years before needing to be replaced. Do not hide behind a dark, discolored smile. You can turn back the hands of time and get your teeth as much as 8 shades whiter using a professional in-office or an at-home treatment. We use a specially formulated whitening agent to reduce tooth sensitivity while also resolving stubborn stains. You will enjoy drastic lasting results using the solution that best accommodates your needs and your lifestyle. Cosmetic bonding is a quick and easy procedure that can be performed in a single visit to our Freedom dental office near Kaukauna. The conservative treatment allows us to preserve as much of your natural tooth structure as possible while correcting several issues, such as chipped, cracked, and uneven teeth. It can also be used to close gaps between teeth without needing braces. We’ll help you achieve the healthy and unblemished smile you desire. You don’t need to let a dark metal crown cause an eyesore when you smile. 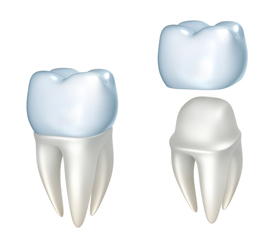 Now, crowns are made from porcelain to look just like a real tooth. 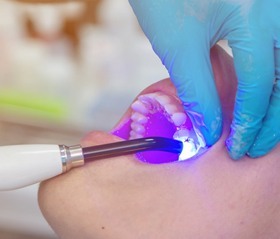 They are customized to meet your color, size, and shape needs to repair a damaged tooth or to improve its appearance. We use high-quality material to give you a durable solution to enhance the health, function, and appearance of your smile. You can enjoy a metal-free option when treating tooth decay. Tooth-colored fillings use a biocompatible resin material that’s customized to match your enamel color. 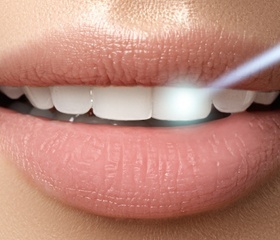 This allows it to blend in with your tooth, so no one will tell it’s there. It is also mercury-free to give you a safer alternative to traditional amalgam fillings. We’ll help treat your cavity using a treatment that looks natural. Some smiles suffer from several aesthetic problems, from discoloration to missing teeth. A complete smile makeover combines various cosmetic dentistry procedures to transform your smile in ways you never dreamed possible. 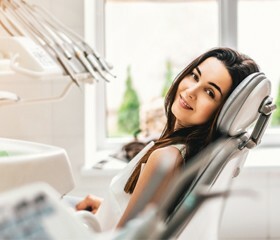 We’ll make sure it looks natural using modern dental care treatments, like porcelain veneers, porcelain crowns, cosmetic dental bonding, and teeth whitening. We’ll make your new smile look beautiful while retaining your unique appearance. If you’re near Kaukauna or any other Fox Cities, including Appleton, contact Dental Expressions to discuss your cosmetic dentistry options with Dr. Robert or Dr. Heather Heil. We’ve helped people from Green Bay love their smiles as well. We know the power of a smile can make your life better.